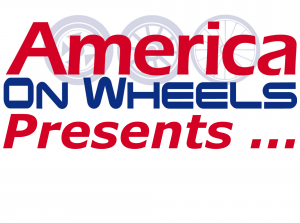 Welcome to the America On Wheels Presents, recorded live at the America On Wheels museum in Allentown PA.
Now to give those of you who are unfamiliar with the museum some context as to what this lovely place is all about, the Lehigh Valley has a rich automotive history. It is the home to Mack trucks, home to the NB Center for American Automotive Heritage, and the Historic Vehicle Association just opened an office here. Lee Iocacca, Roger Penske, and Al Holbert are Lehigh University alum…. and much more. Our museum highlights this rich history and works with the wonderful organizations here in the valley to entertain and educated through their diverse automotive exhibits and events like our current Pony Cars exhibit featuring the oldest known unrestored Mustang and the Mustang II concept car. With this podcast we want to share with you our in depth conversational interviews with collectors, visionaries, technologists, industry insiders… those deeply involved with anything with wheels in america.